Quality Since 1988. All TidyGarage® Products Are Made In North America. Our Surelock® Gripper, with its patented spring-locking action, is the perfect hanging tool organizer for your home or garage. Now you can end clutter in every area of your home, and store more in less space with our Surelock® Gripper w/ SpringLock®. 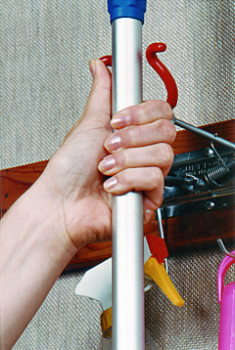 From brooms to hammers, the Surelock® gripper keeps items locked in place, and releasing them with a push of your thumb. 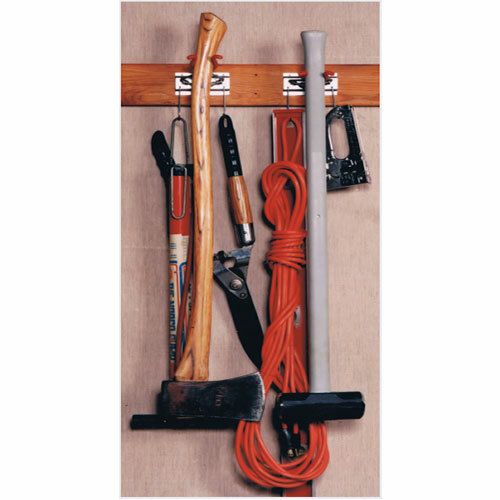 Use the hooks to hang items such as cleaners, tools, shovels, power cords and much more. Plus, every Surelock® Gripper comes with 2 permanent peg hooks. 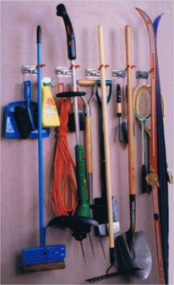 Where Can I Use the Surelock® HangAll hanging tool organizer singles? 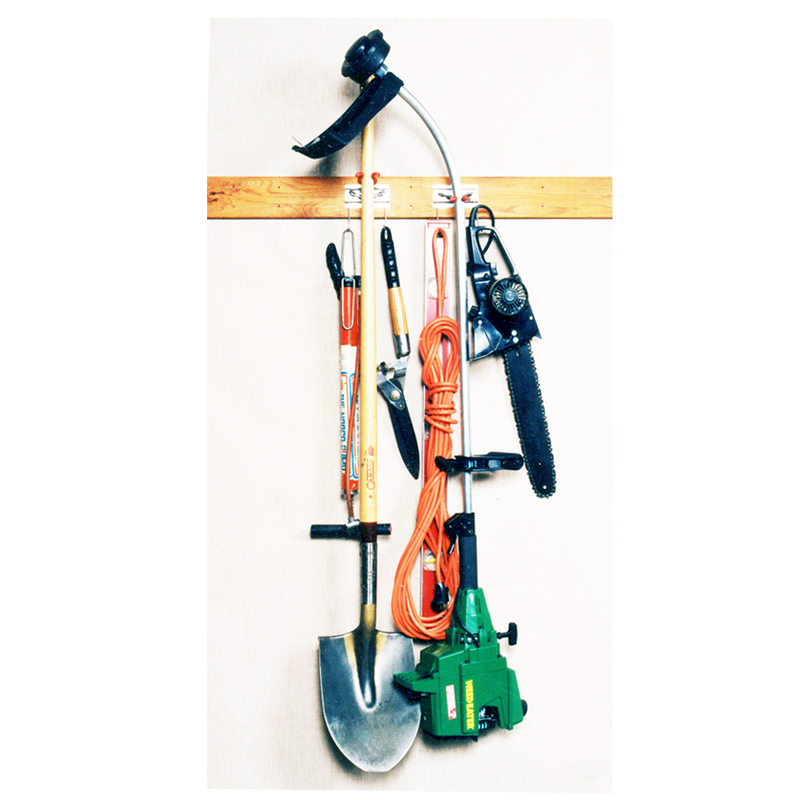 The handy and versatile Surelock® HangAll hanging tool organizer singles can be used virtually anywhere in your home, garage, or workplace. Because our singles are so space-efficient and easily mountable, there is no limit to where they can be installed and used. Your own imagination is the only limitation, as to where to hang your Surelock® HangAll Singles. 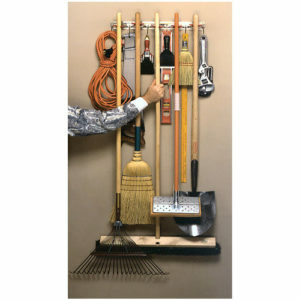 Your Surelock® HangAll Organizer can be mounted in different ways, in many places of your home, garage, or business. 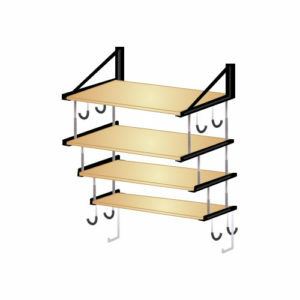 It is best suited for mounting the metal bracket directly to wall studs, or even to wooden boards or beams. 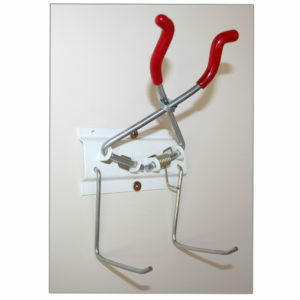 Insert the permanent peg hooks into metal bracket before mounting to a wall or board. 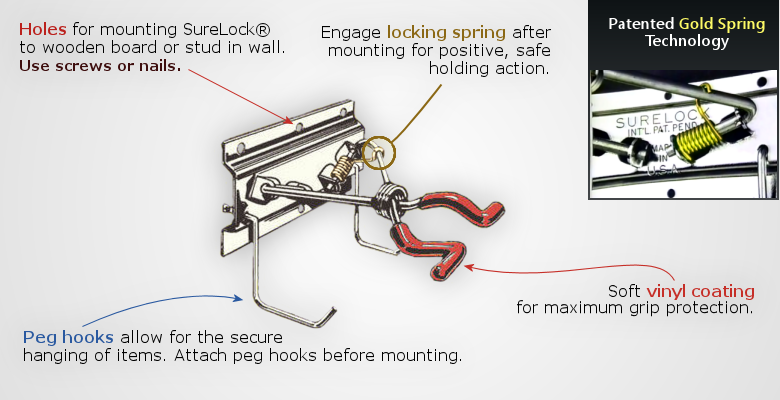 After mounting, engage each gold-locking spring to the gripper arm. If you are unsure of the strength needed to engage the spring, use a tool, such as needle-nose pliers, to pressure the spring on to the gripper arm. 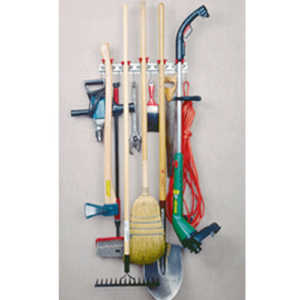 Always install your Surelock® HangAll Singles high enough from ground level to maximize its use, and hang taller items, such as brooms and shovels. 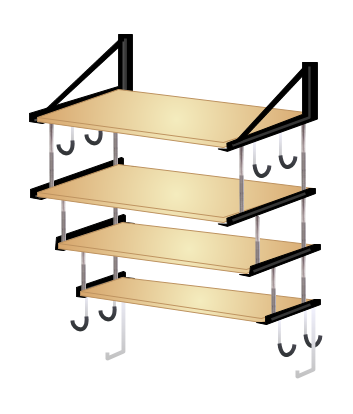 However, be careful not to install bracket too high up, as this may increase the risk of injury, or damage to items from falling, when hanging objects are harder to grasp from stretching or reaching up. TidyGarage® builds quality products that are meant to last, and stand the test of time. All of our products are made in the United States of America, built with high quality steel or metal. You can be assured you are purchasing high quality products that will last a long time, while maintaining their appearance, without corrosion or rusting. When you purchase a product from TidyGarage® we guarantee the quality of our workmanship, as we are confident in the durability of the materials we use to build them. If you are not completely satisfied with your purchase, you may return the item for a full, no questions asked, refund of the purchase price. Please refer to our policies for more information about our warranty and returns. TidyGarage® © 2018. All Rights Reserved.